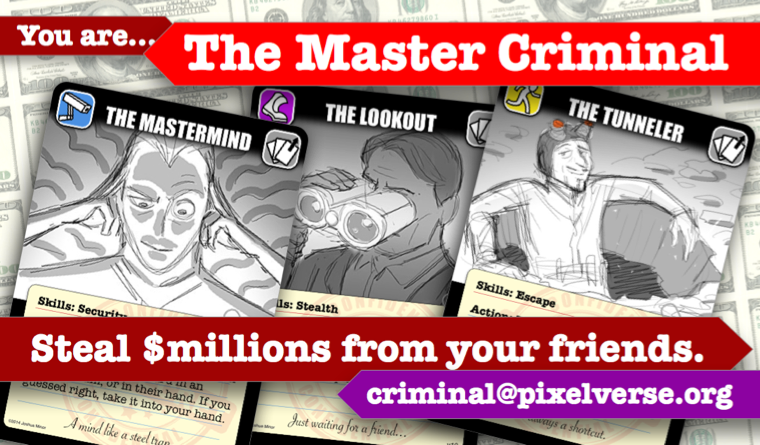 The Master Criminal is a card game about stealing hundreds of millions of dollars worth of famous treasures from your friends. Feel free to contact me if you want to playtest it, or find out more details. The game is currently under development. Artwork, by my friend Grant Alexander, is in progress and the rules are being refined. 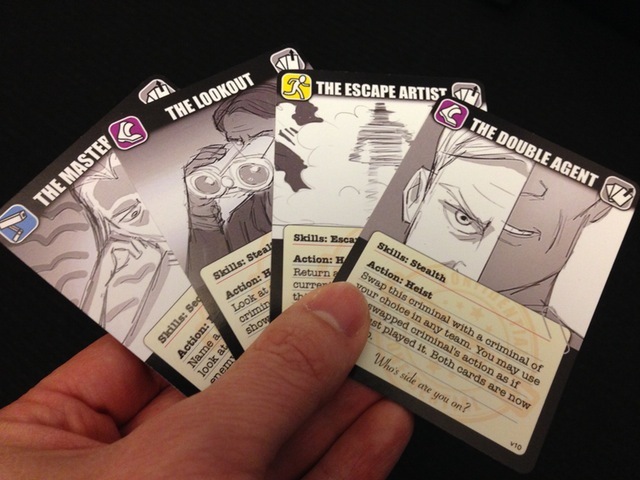 We ran a bunch of play test sessions at KublaCon 2014.